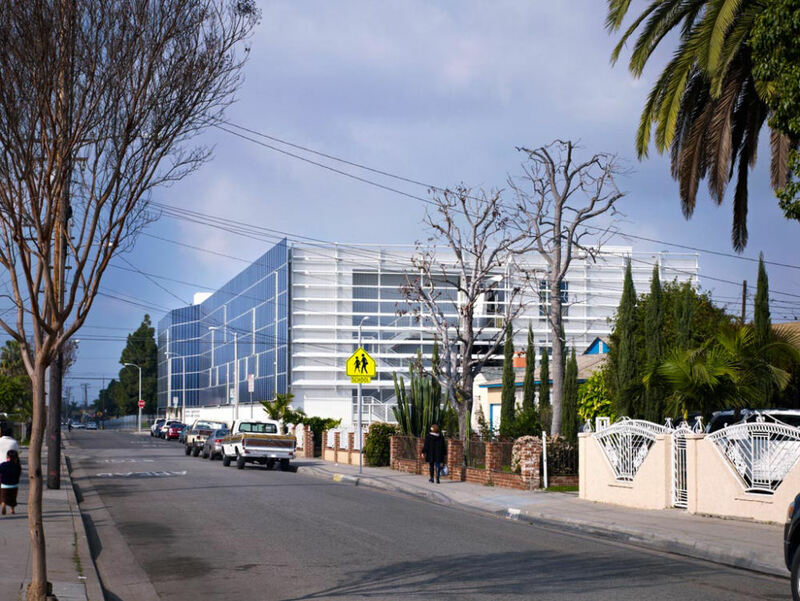 A new school has been created in a tough South Los Angeles neighbourhood, located almost directly under the flight path into LAX and adjacent to the very busy 105 Century freeway. The building designed by Brooks + Scarpa Architects will provide facilities for around 500 students in the area. Influenced by the New Orleans architects Curtis and Davis, the project has been designed to utilise particular site factors to benefit the environmental impact of the school. Curtis and Davis created many schools in the early 1950s in Louisiana which adapted to the harsh southern climate without using air conditioning. 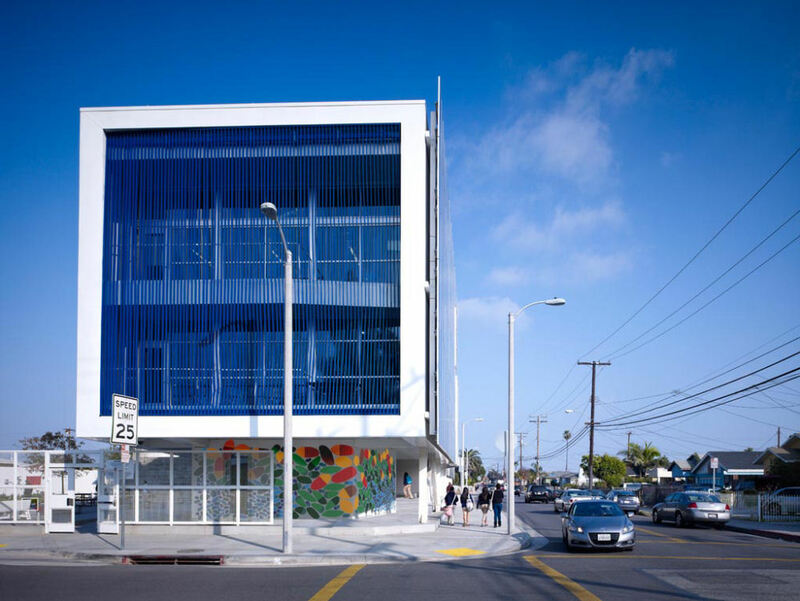 They were able to create a building filled with sustainable light, creating poetic spaces for children to learn in. Similarly, the architects have designed to incorporate and enhance passive sustainable strategies into the project. It allows for an abundance of natural light, ventilation and views, whilst simultaneously shading itself and inducing airflow. 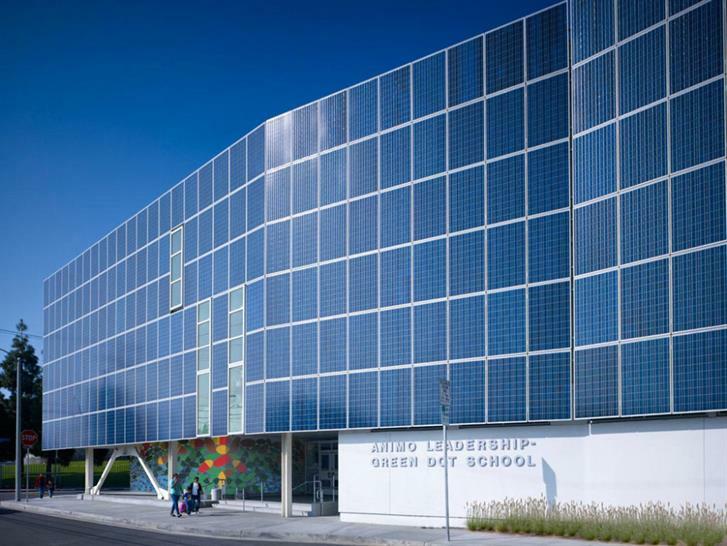 The south facade is clad with 650 solar panels that shade the building and provides 75% of the energy needs for the school. It has been predicted that by implementing these strategies, the carbon emissions will be reduced by over 3 million pounds. 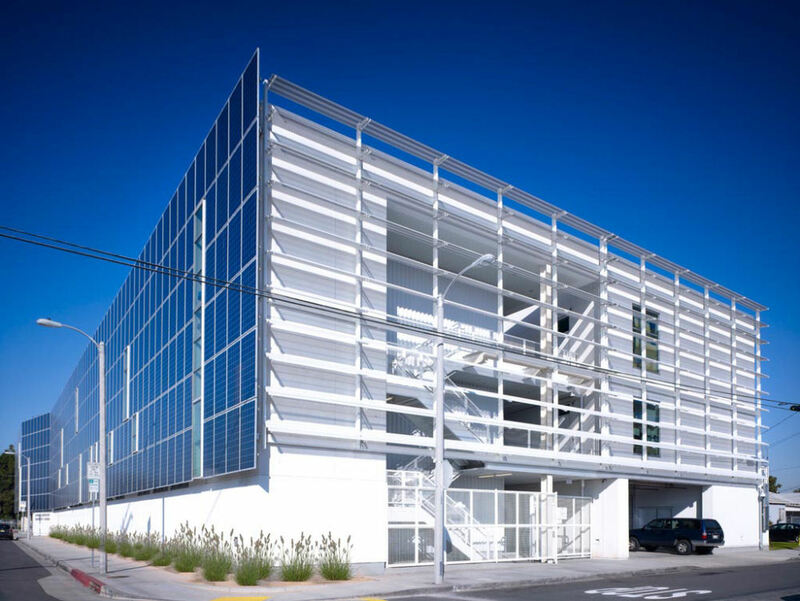 With a project target of CHPS and/or LEED Certification at the minimum, the architects constantly took aesthetics, sustainability, and cost-effectiveness into consideration throughout the design phase. 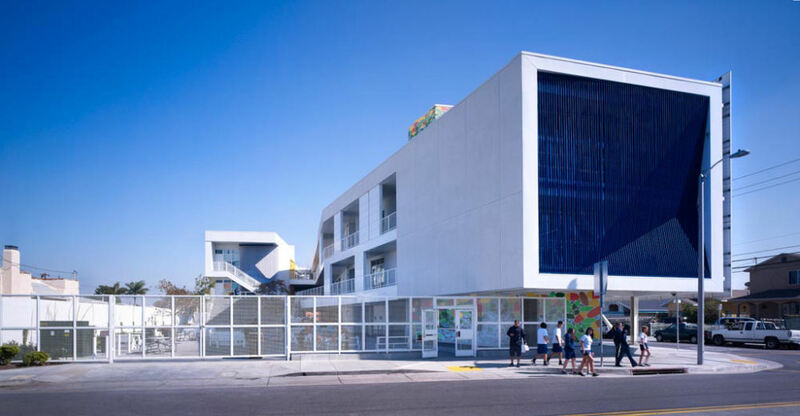 By taking full advantage of the region's temperate climate, the fully contained "big box" idiom of conventional schools on the primary use site was avoided. 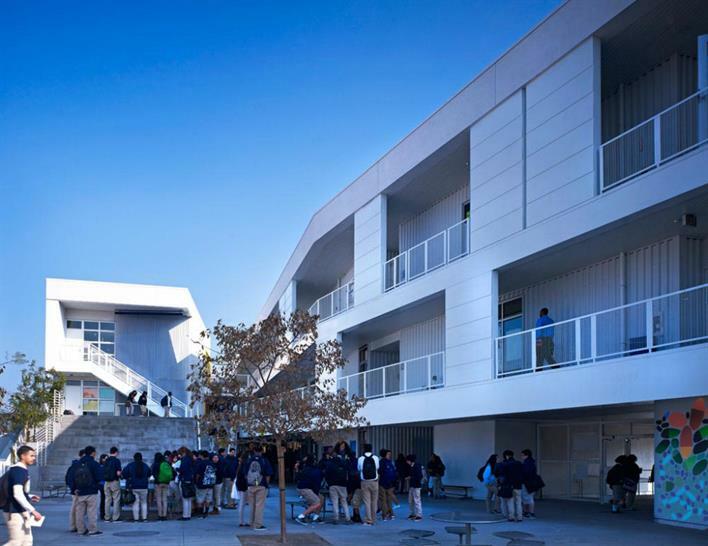 Instead, a landscaped courtyard sits at the heart of the school which has multifunctional 'bleacher" terracing. This flows into an open-air covered lobby and multilayered paseo, lending the school the appeal of a collegiate campus. The significant environmental benefits to the school include an improvement to day light and access to fresh air both inside and out. In addition by limiting artificial lighting and thermal conditioning to the smaller enclosed spaces, there have been substantial cost savings to the project.